Need Carpet Cleaning in Stamford Connecticut? Right now? 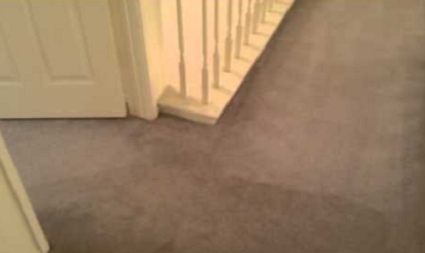 Our Carpet Cleaners are right here in Stamford, and clean up your carpets in no time flat. ​Our carpet cleaners are so strong that we can use less chemicals to get the job done. Less chemicals means a better environment, and it is safer than your kids. Our competition through our Stamford, Danbury & Fairfield uses way too many chemicals to make up for their older machines. We can get even the toughest stains out of your carpet from wine spills, cherry juice, pet soil, coffee and even marker stains from your creative kids! We prefer you let us know what particular stains you have so we can let you know exactly how much time it'll take. Often we need to use an enzyme formula to break down the tougher stains which takes longer to dry. Still have questions about our Carpet Cleaning Service? Check out our Carpet Cleaning Frequently Asked Questions page. Our already affordable prices can be further discounted when you purchase multiple services. Think of us as the "Progressive Auto Insurance" of carpet cleaning or simply the jack of all trades. We offer a wide variety of services from upholstery cleaning, inside & outside cleaning, window washing and much more. Bundling two or more services together will get you an additional discount. Call today to see how much you can save (203) 635-6135. Spot Cleaning that'll remove your Wine Stains for good! Lets face it - there is a lot going in Stamford, CT nowadays. Our average day includes a lot of socializing, working, and very little relaxing. Most houses in Stamford have either hardwood floor or carpets; whereas most apartment buildings have wall to wall carpets. A wine spill on your nice white carpet can be detrimental to your Stamford studio apartment's ambiance. Our Spot Cleaning Service in Stamford is very popular among our customers. Your carpets should be clean and stain free. With a quick call our spot removal service can be quickly. Often times if you're in Stamford we can even be there that same day. Our Eco-friendly cleaning products are what separates our Carpet Cleaning Service from the rest of the competition in Stamford. Most carpet cleaners you find on groupon or living social tend to use harmful chemicals to do the work for them. The quality of our carpet cleaning solutions is far superior to anything you'll find on groupon. We use the top of the line carpet cleaning equipment such as the Rotovac 360i with its deep clean industrial power to get the job done without the use of harmful chemicals. We're a family owned & operated company, and we wouldn't want our kids playing on a carpet that had been just soaked in all kinds of chemicals. 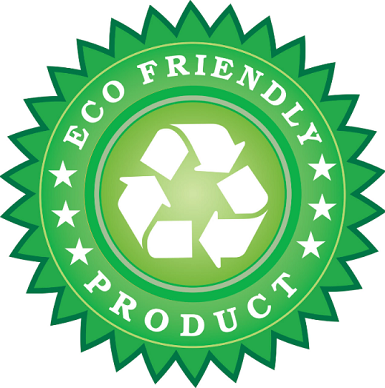 Being an Eco-friendly Carpet Cleaning Company isn't just a choice, but rather its a obligation. We have the obligation to give our customers and their families the best quality service while keeping it affordable. Our prices are competitive with the competition, and comparable to the other Stamford Carpet Cleaners such as Triple S, and Heaven's Best. Ask them if their cleaning solutions are eco-friendly. We pride ourselves on been green, environmentally friendly, and clean. You can trust our Carpet Cleaners to be the right choice for your family. If you have any questions about our service contact Carpet Cleaning Stamford. On the other hand, if you'd like to hear our carpet cleaning testimonials then just check out our about us page. Carpet Cleaning Stamford will get that wine, urine, or marker stain right out of your carpet. We are known by our loyal customers as the best stain removal experts in CT. If you have a bunch of different stains please let us know before hand so our stain removal enzymes are ready to go. Our Rotovac 360i does a heavy duty carpet wash, carpet steam cleaning, and shampooing all in one to get your carpet looking like new. Unlike other carpet cleaners, our cleaning equipment is so portable and versatile that we can harness the industrial strength power you need for your home or apartment in CT. Steam Cleaning is one the best ways of getting rid of the dirt in your carpet. We also use our steam cleaner for the tile & grout removal on kitchen and bathroom floors. Our steam cleaning service is available throughout Stamford, CT. Give us a call today to speak with one of our carpet cleaning specialists. As noted on the homepage, our advanced carpet cleaning equipment takes care of that carpet shampoo look you desire. Looking at your carpets which are now a full 5 shades lighter is a great sight. 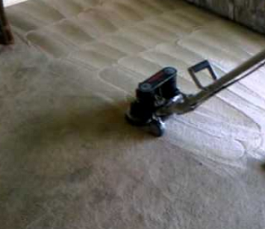 Knowing that they were cleaned with eco-friendly carpet cleaning solutions is even better. Get your carpet shampoo done today by giving us a call. Hence the name, Carpet Cleaning Stamford, we will definitely make your upholstery look like new. Get your couch, sofa, love seat, or lazy boy clean as a whistle. Kicking all those dust mites, dirt and grime out of your couch is a great idea. Learn more about our upholstery cleaning service in Stamford, or give us a call today. Spot cleaning is popularized by big name carpet cleaners like Heaven's Best or Triple S for being able to remove stains. Our stain removal system is state of the art and will take care of any wine stain, pet accident, or marker stain you can think of. Regardless if you want to call it stain removal or spot cleaning we'll take get rid of that spot or stain in no time flat.